It’s not every day that you buy a brand new kitchen for your home. It’s quite a big commitment too. Your kitchen might be out of action for a couple of weeks while everything is being installed. Some people move out altogether as the noise from ripping out the old kitchen can be a bit much. But when it’s all finished, and you’re preparing your first meal, you’ll know it was all worth it. So what’s on your shopping list for your kitchen renovation? There are two main choices for your oven in the kitchen. Whichever you choose, a professional has to install it. Electric isn’t very popular because in the past food would take too long to cook. The early fan assisted ovens didn’t always help with printed cooking times being wrong by up to twenty minutes in some cases. These days, technology has moved on. The humble electric oven looks good, works well, and is a good alternative to gas. Again, the battle between electric and gas continues. Of course, there is nothing quite like the instant heat and result from having a gas burner. They are more dangerous though. If the gas blows out, you need to be certain there is a failsafe mechanism to stop the supply. As for electric hobs? Select one that lights up instantly so you know it’s on. You need a fair amount of power behind you to heat quickly too. 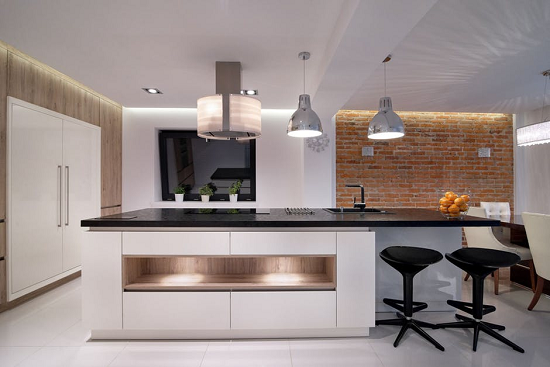 There are several choices for worktops in the kitchen. The most cost-effective choice is a laminated board. These can wear quicker than other choices, and it is down to the installer to make sure the finish doesn’t look poor quality. Solid wood is another choice, but the seals can sometimes make it look like laminate. Granite or quartz is incredibly attractive, and when used in the sink area, it can be visually stunning. Granite is the perfect material for the kitchen, offering thermal protection and toughness. You should look out for more information on this material and see where it can be applied in your kitchen. Hygiene is essential in the kitchen. A hard floor might see off any dropped plate, but it is much easier to keep germ free and clean. You might choose a laminate, vinyl, tile, or even slate surface. Some are more hardwearing than others. 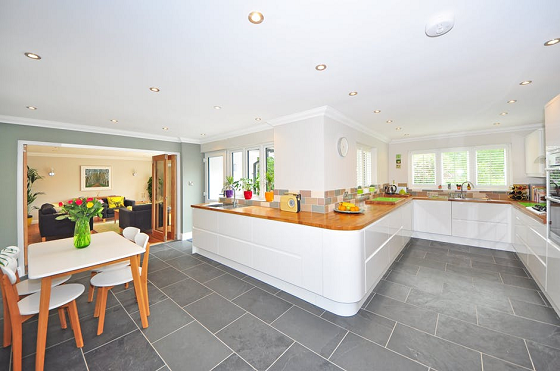 It’s important to consider how you use your kitchen before making a decision on the flooring. If you’re a spiller go for a tougher surface. Many of us use our kitchens for dining too. Make sure the floor you choose can handle the movement of chairs across the surface. Scratches and scuffs can make the floor look dirty. Even if it isn’t actually dirty, it can be off-putting when you’re preparing food. The safest way to clean your floor is with steam. However, there are times when some chemical intervention might be required. Ensure the floor you choose can be cleaned the way you want it to be. The humble extractor has changed a lot over the years. They are now smaller and angled more acutely to become quite an attractive feature of any kitchen. Look for variable speed fans and adequate lighting to keep your kitchen area safe. They now come in black as well as steel. This means you have more choice when it comes to designing a kitchen style you can fall in love with. Finally, consider if you want to move your hob. This might require external building works to install a newly situated extractor hood that vents outside. There are many different styles of sink. The Belfast has been considered the Rolls Royce of sinks for a long time. But different dietary and cultural requirements usually require us to have a one-and-a-half or double sink set up in the kitchen. This is very practical for rinsing and cleaning. 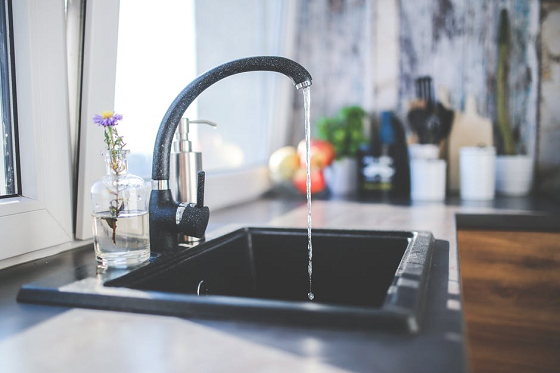 You might add an insinkerator type product to reduce the risk of clogged drains from food particles. These don’t add a huge amount to your kitchen bill, but there is likely to be a separate installation charge. When you’re selecting the taps for the kitchen, it might be worth getting a stretch or extending hose style. Don’t forget to add a boiling water tap for an instant hot drink whenever you need one. No waiting for kettles to boil! Fridges come in all shapes and sizes. You might say the bigger, the better, but you have to remember you only have so much space. Instead of buying huge, consider your needs. Do you want a chilled water dispenser or an ice dispenser? Maybe you prefer chipped ice to cubes? Do you need more freezer space than refrigerator space? Check out several models before making your decision. If you are dining in the kitchen, it’s important to pick a dining set that suits the space and the position in the kitchen. Cooking accidents can damage a fine wooden table or chair. Keep the eating area well away from the hot area. This is essential if you have children. Your interior design choices might also influence the style of your table. Round, rectangular or square? The choice is yours. Of course, you might prefer a breakfast bar for more casual dining in the kitchen. No kitchen is complete without a wealth of gadgets and gizmos. These are usually electrical appliances that make your job a lot easier, quicker, and more convenient. One of the most popular is the slow cooker or crockpot. Lifestyles today demand that we spend less time in the kitchen and more time juggling quality family time with careers. A slow cooker offers all you a hot meal when you’re ready to take it. You can prep it all at breakfast time, then eat sometime in the evening when it is convenient for you. What’s on your kitchen wish list?